Using academic vocabulary and complete sentences. So that I can use computer to help me find information quickly. I'll know I've got it when I can answer the questions correctly on the Google Form Worksheet. Click on the picture below to go to the Google Search Tips webpage. 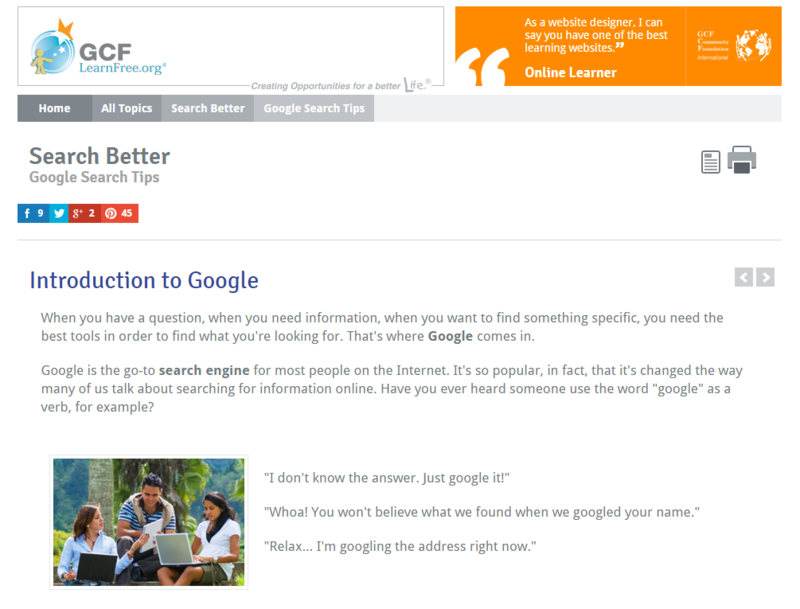 Complete the activities and videos in the Module "Search Better."